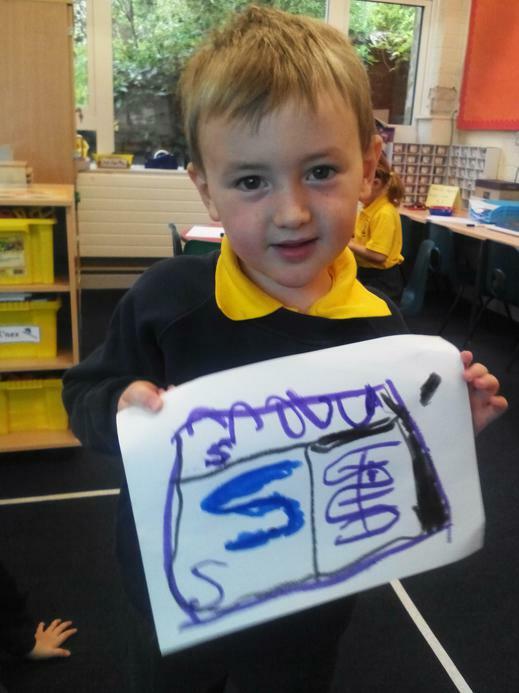 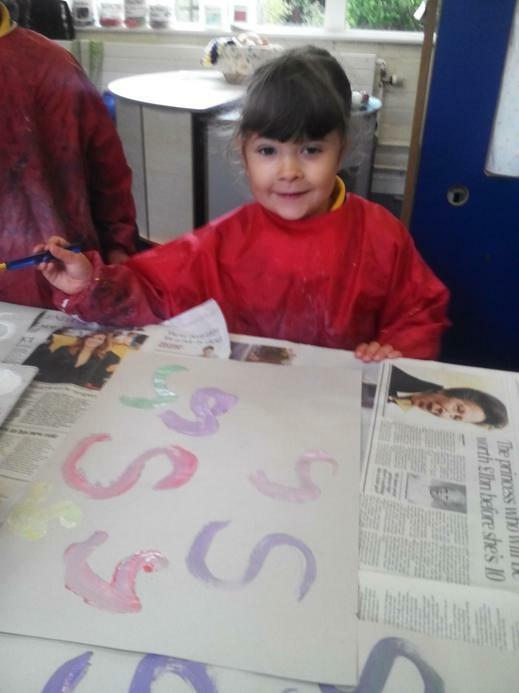 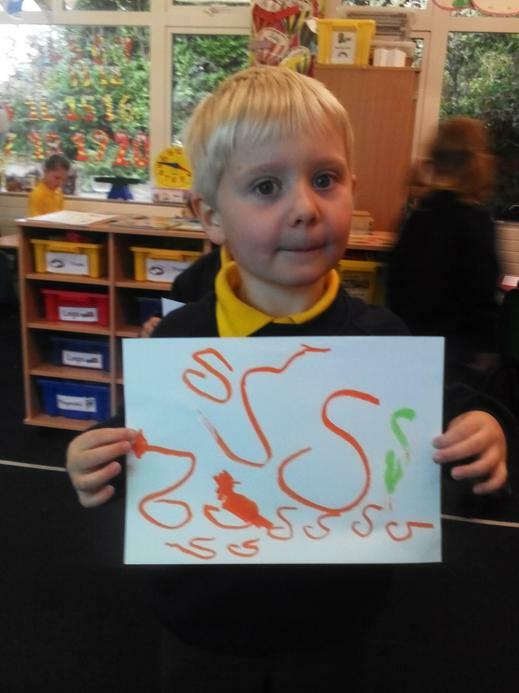 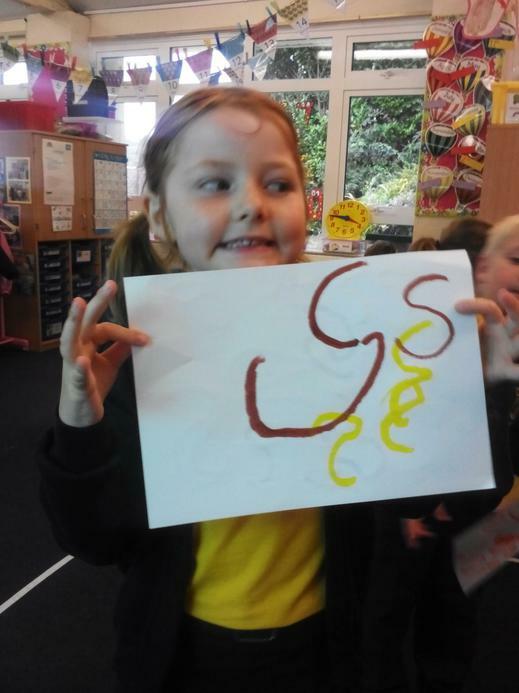 This week has been an exciting week for Giant Class as they have started learning their first sounds in school! 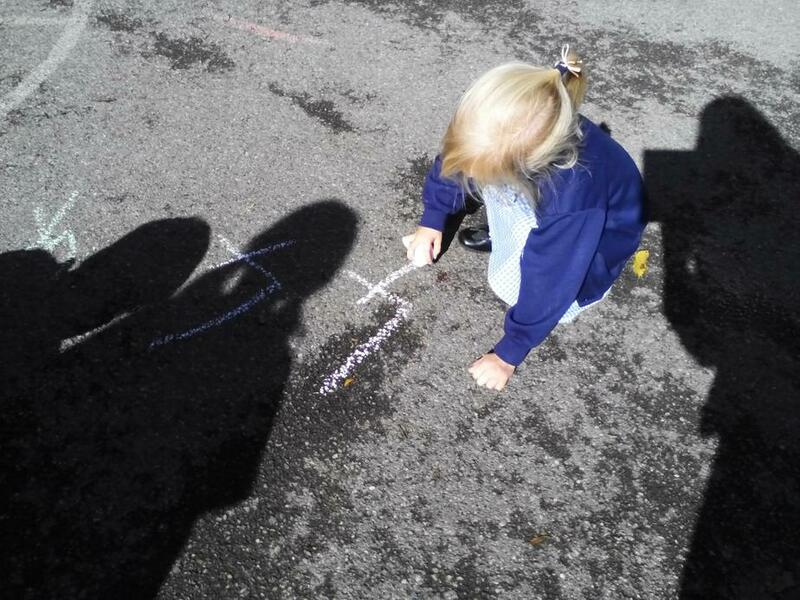 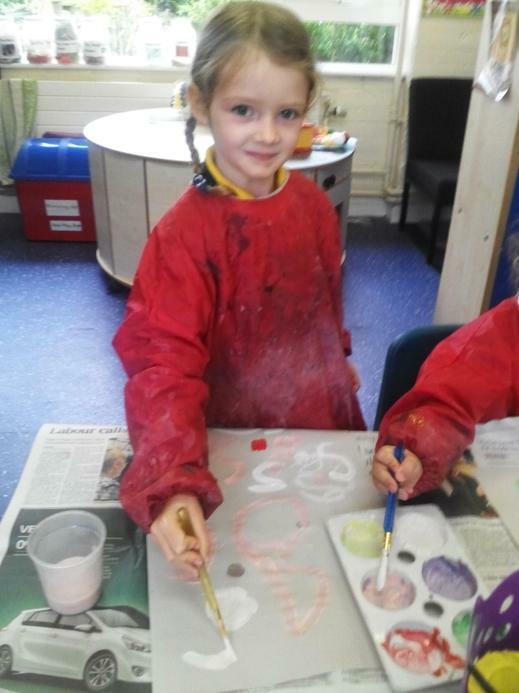 We have learnt letters 's', 'a' and 't' and tomorrow will be learning 'p'. 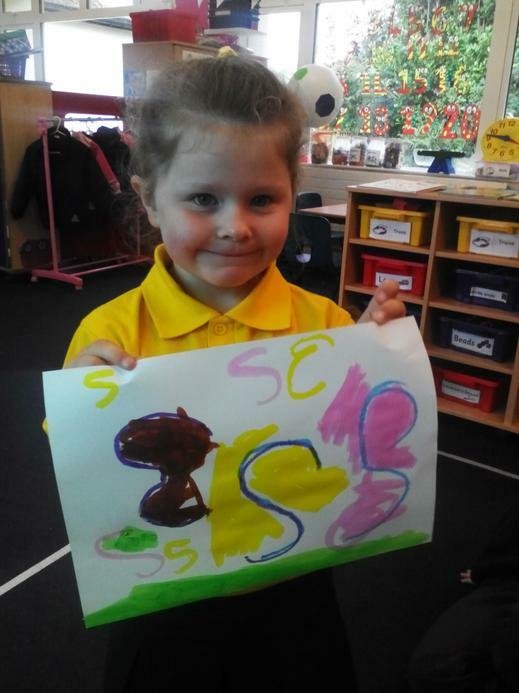 I hope you are all having fun at home learning the sounds with them and their sound cards, and learning the actions and songs to go with them! 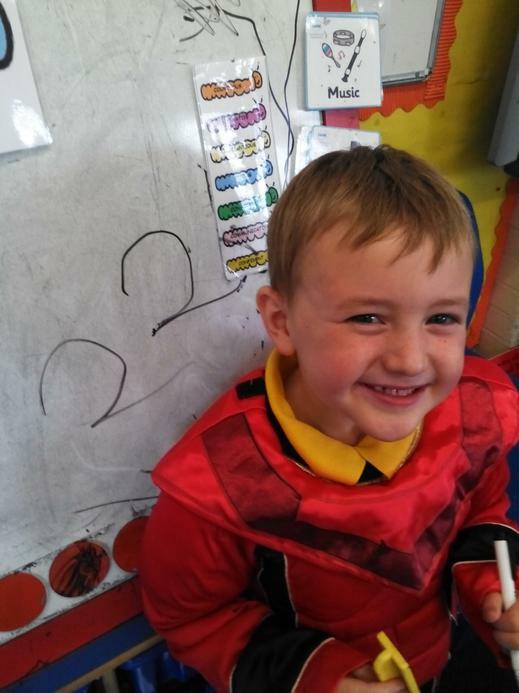 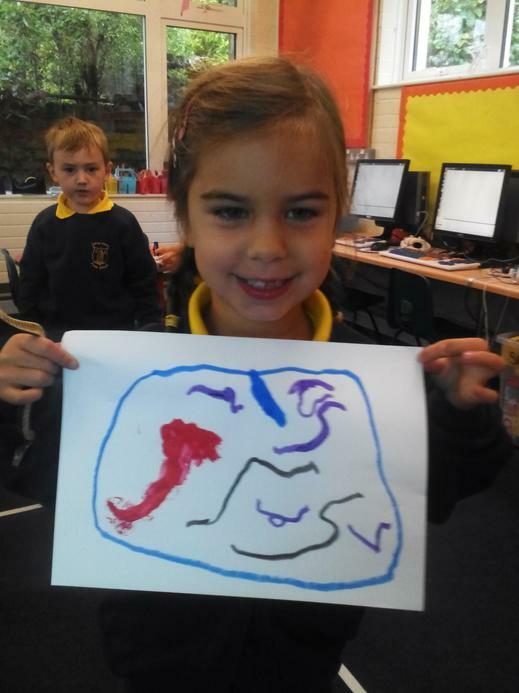 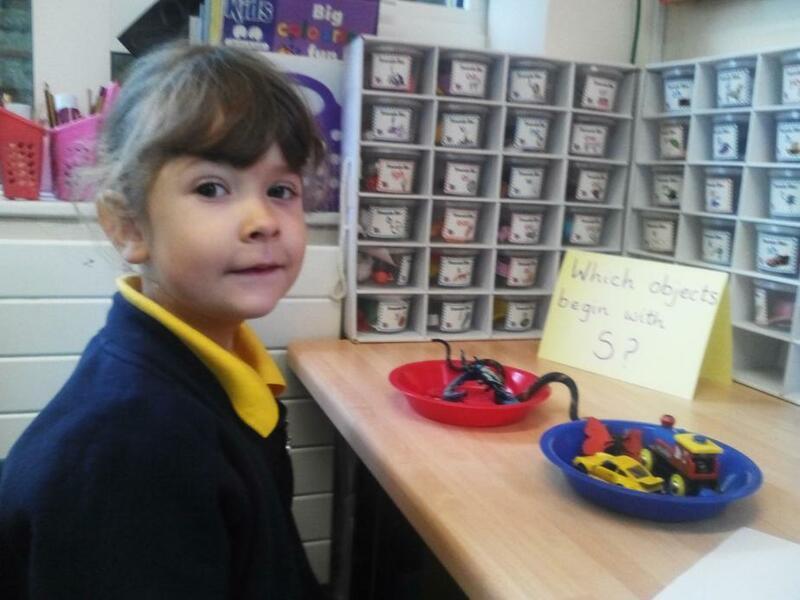 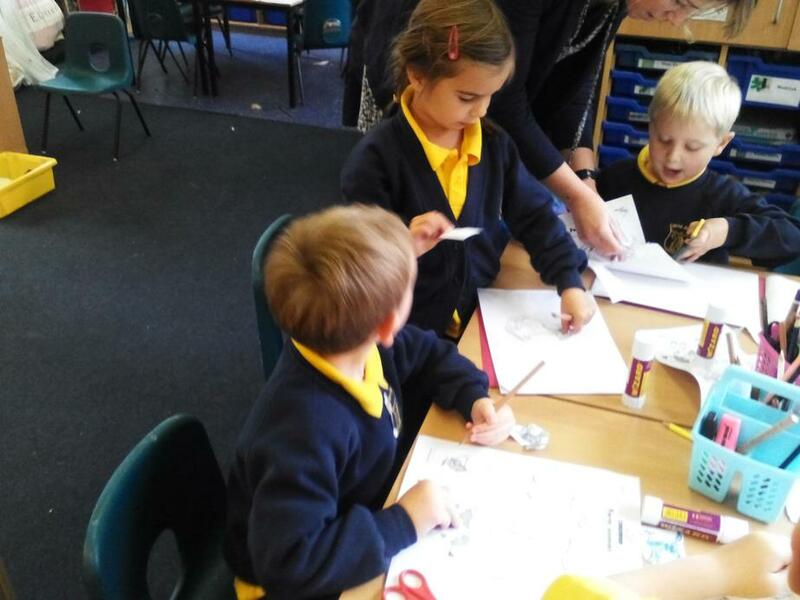 This week we have also started learning Maths and have been learning how to count. 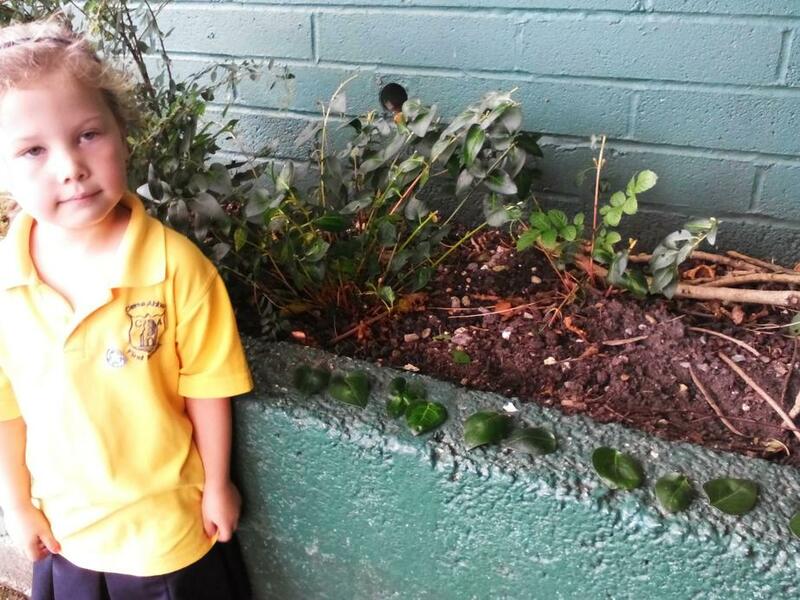 We have been counting farm animals, dinosaurs and leaves outside on the playground. 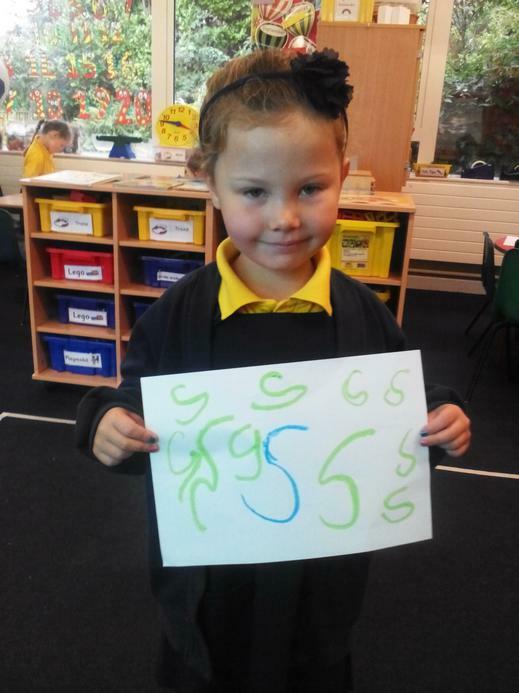 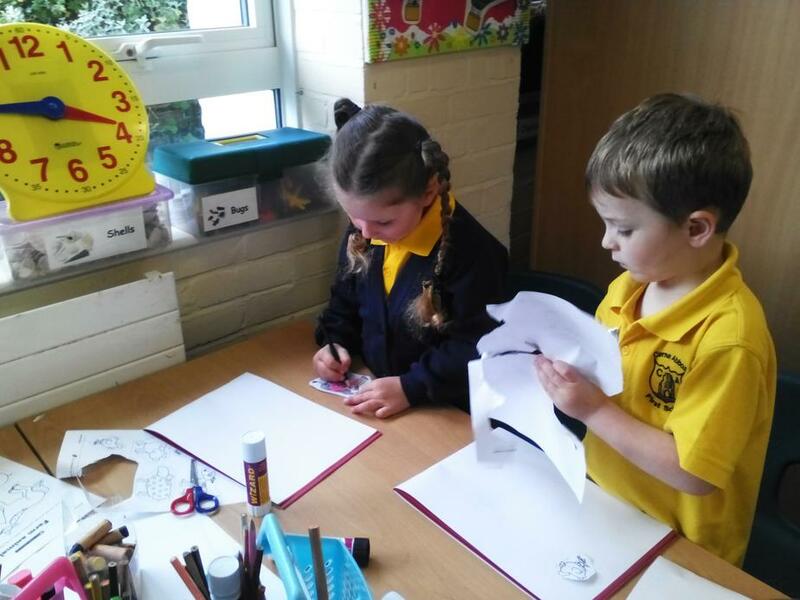 We have also had a number of the day which we have been learning to count to and write. 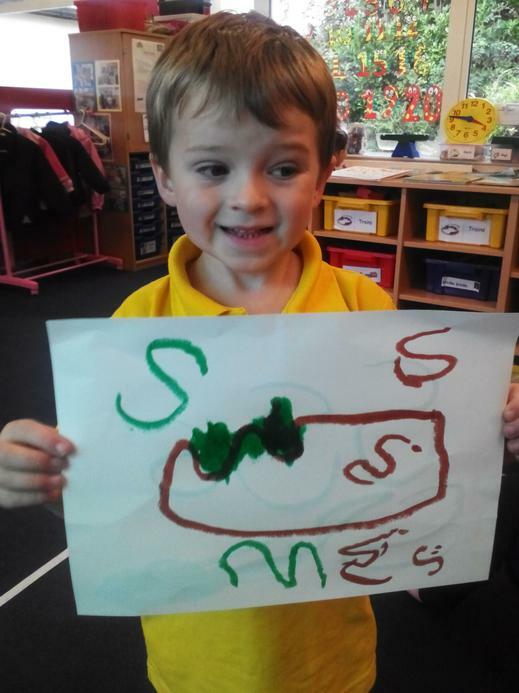 We have begun our topic Fantastic Farming and the children have planned what they would like to learn about. 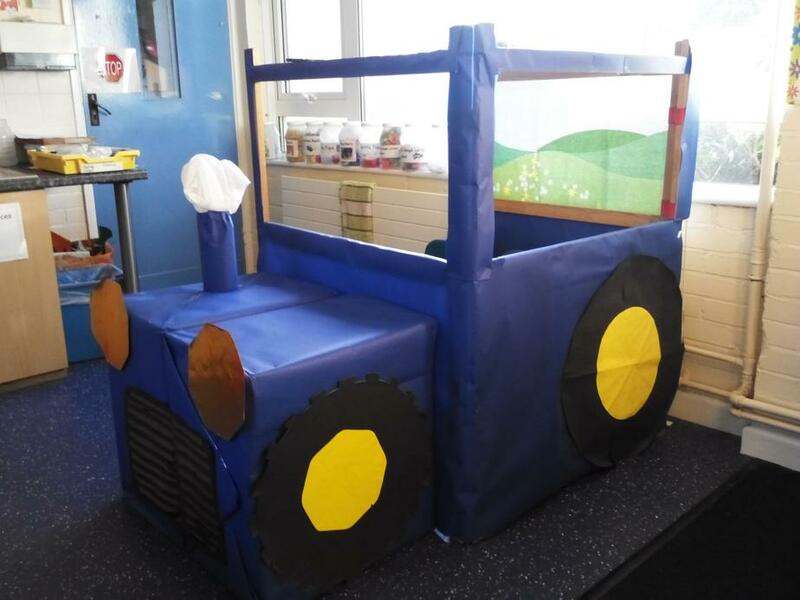 Mrs Barrett has also created a beautiful tractor for Giant Class to use as their role play corner after discussion about what they would like. 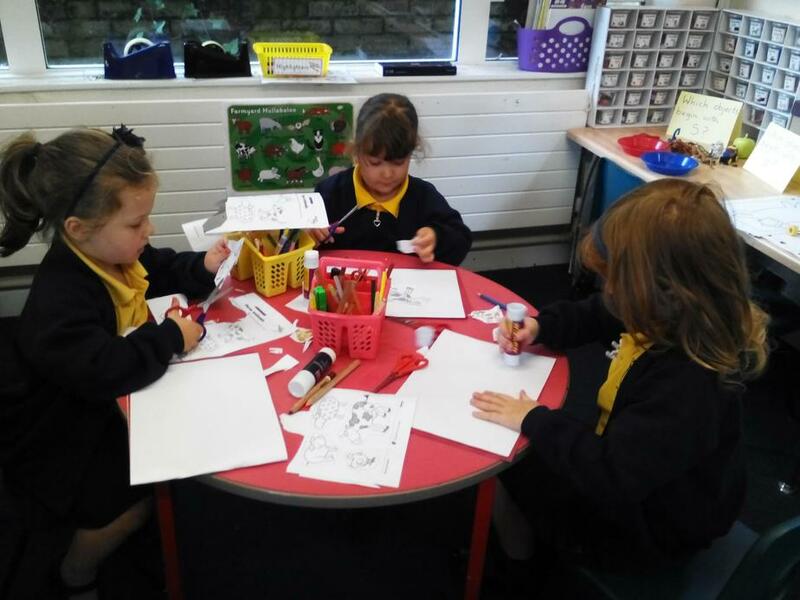 We have all been so pleased to see how confidently Giant Class have settled into school, I can't believe another week has nearly gone by!